EDIT: It also appears that CNN News Now has also has a refreshed. Looks better, also the beeping sounds are more prominent now. When they move to the new London building, I really hope the new, big newsroom will in some way be part of the studio. Speaking of refreshes, I haven't really watched the European morning slot regularly but when I see it at the weekend the cityscape backdrop they use seems to have been tweaked - darker blue and orange then it was before. Has it been like that for a while? Also, has Amanpour moved to New York? Not sure if it was ever officially confirmed but most of the advert seems to have been filmed from New York and more often than not when I tune in the show seems to be in New York. Amanpour - or at least Christiane Amanpour's parts of the show - still comes from London usually. The press release for the show going to an hour/on PBS permanently confirmed Christiane Amanpour was staying in London. Jim Acosta anchoring The Situation Room is a breath of fresh air tonight. Fine, it's still all Trump politics heavy, but the show flows more naturally when presented straight - without all the unnecessary hype and melodrama Wolf brings. The show is certainly better when Wolf's not there - Briana Keilar is normally pretty good when she stands in. The whole show is over the top though - the tacky headlines, the dramatic music. the show seemingly always beginning with breaking news and that's without getting to Wolf 'Stand By, Everyone' Blitzer and his emotionless, shouty delivery. I mean as an example the absolute state of this TOTH - you want to lie down in a darkened room once it's finished. I'm also really disliking the forced monologue summary at the TOTH after the headlines, it's truly unnecessary and clearly doesn't work for a stone-faced presenter like Blitzer. I noticed that CNN World Sport presenter Christina MacFarlane is presenting the news yesterday from Atlanta. Are they reshuffling some presenters, like what they did to Don Ridell before? 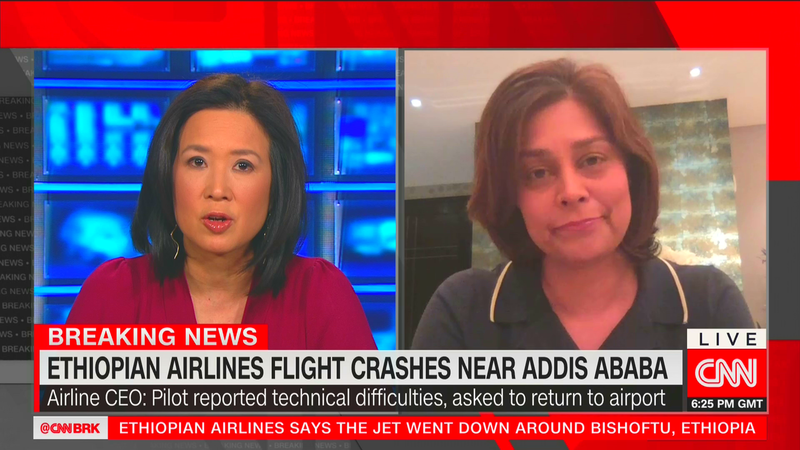 Nice surprise, on a sad occasion though, to see Zain Verjee on CNN again! She was also presenting weekday lunchtime editions of World Sport from CNN Center as well. Back to normal from London now. CNN really don't help themselves at times. News breaks of Theresa May's departure but instead of rolling with that they instead have Christiane Amanpour doing a 15-20 minute interview with a US senator and talking about US healthcare. I'm surprised Bianca doesn't get more CNN Talk cover. Hannah Vaughan Jones or Isa Soares seem to be the main deps for Max. Ever since Amanpour became a full-hour show, that show is rarely pre-empted, even if she is doing some different takes for the "Amanpour & Co." version.